Peter Grehan presents a cheque on behalf of Tecomet to Paula Doyle from S.O.F.T. 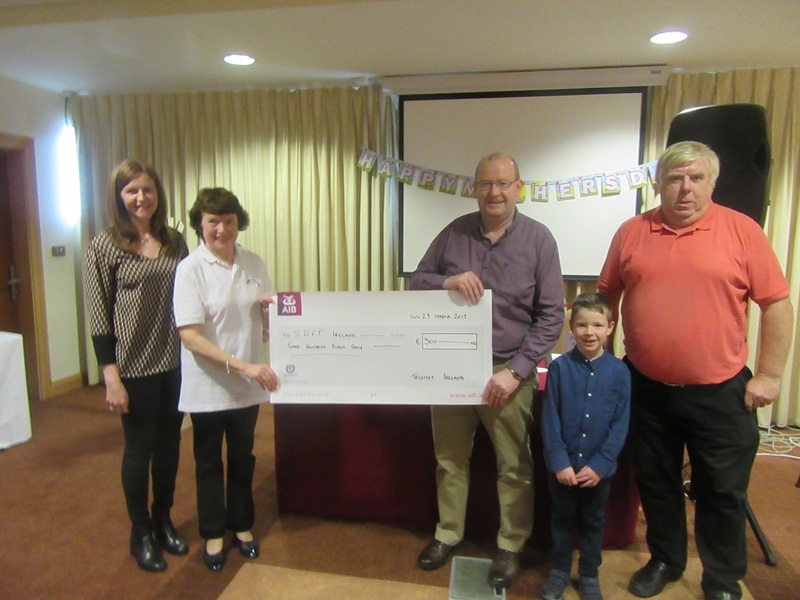 Ireland at Family Outing in Sheerwater Hotel , Ballinasloe on Sun 31 Mar 2019. This is towards the cost of producing our well received Newsletter. We are very grateful for this donation as we are very committed to our newsletter and it is always welcomed by families. Tecomet produces complex, high precision products and services for the medical device and aerospace markets. Tecomet Ireland operates out of Middleton in Cork.